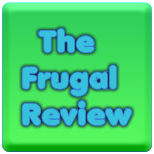 FRUGAL REVIEW: For each note you share, Post-it will donate $1 to AdoptAClassroom.org. For each note you share, Post-it will donate $1 to AdoptAClassroom.org. Share a note on Facebook about how you use Post-it to inspire and encourage the ones you love.